As part of the process of investigating and repairing old calculators and computers, I've ended up accumulating some interesting "vintage" parts. Most of these devices are LED (light emitting diode) displays of various types. I have a separate page dedicated to Nixie tubes that you can see here. These are interesting because the segments are raised above the surface, but infortunately I don't have a datasheet for them. 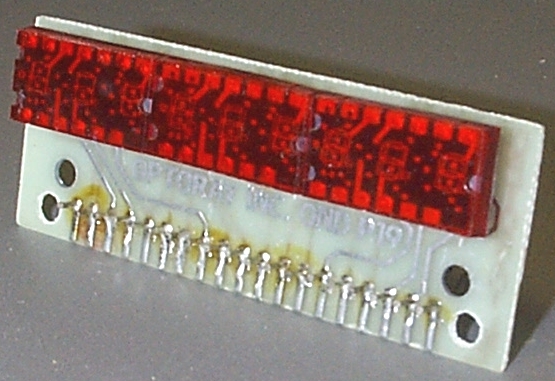 This is a nine-digit LED display with a part number of OND P19. 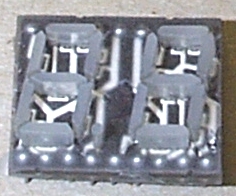 It has 19 connectors along the bottom, apparently designed to be plugged into a larger device. 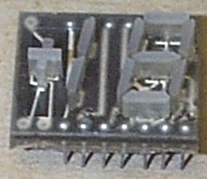 This is the front side of what appears to be a self-contained six digit clock manufactured by National Semiconductor. 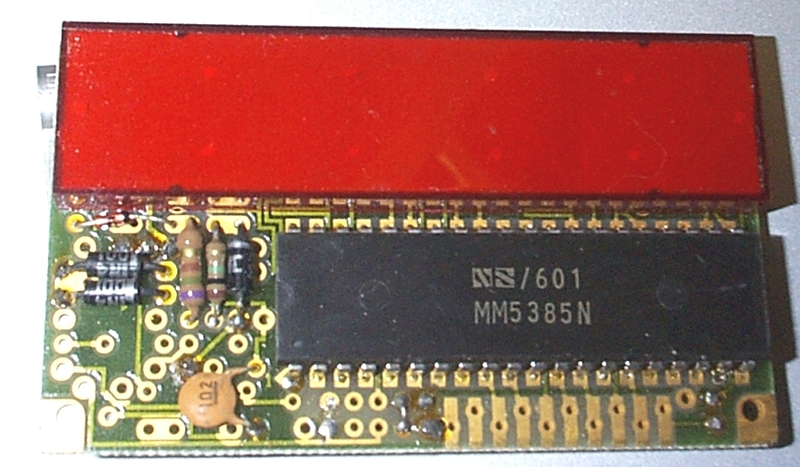 A MM5385N clock chip drives the module. 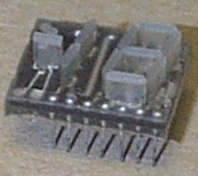 A ten-pin connector at the base must provide power and setting controls, but I don't have any documentation for this device. On the back side of the module you can see the stylized "NS" logo and what appears to be a part number of MA1001-A. I have a tube of LTS313AR 7-segment LED displays. 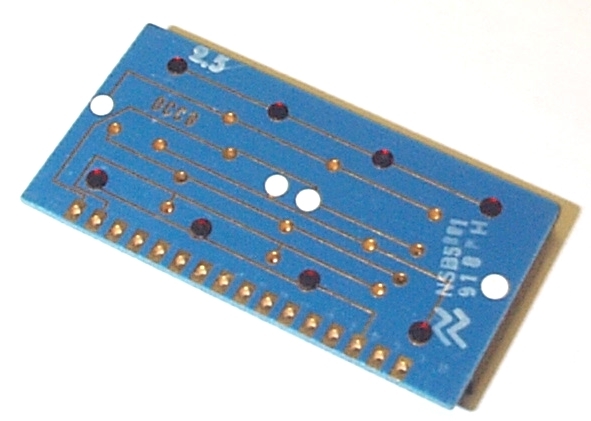 Does anyone have a datasheet for these? 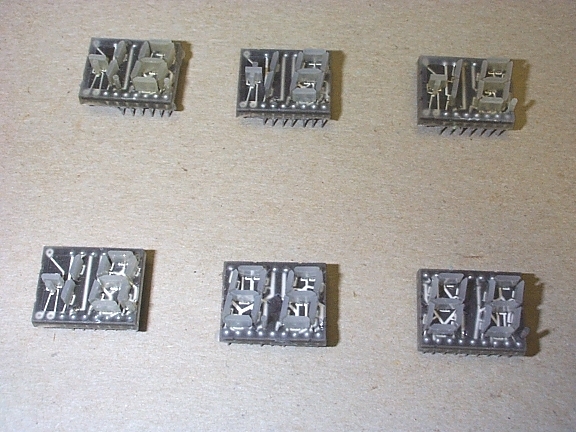 These pinouts are to use it as a 7-segment display. I haven't had time to test out the additional (center vertical) segments. 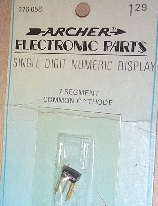 A 7 segment readout sold by Radio Shack as catalog number 276-051. Click here for a basic article on LEDs from the December 1974 issue of CQ magazine. 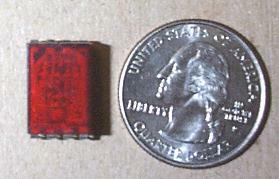 Seven segment red LED with a magnification lens. 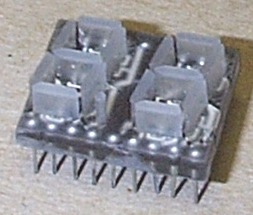 It has nine pins: 8 pins divided into two rows of 4 and one pin between the two rows. I have 16 of these tiny nine-pin displays. Does anyone recognize these, and perhaps have a data sheet? I have three of these displays. You can see a datasheet and app note for these displays by clicking here. This is a two-page application brief discussing the 5082-7730 series seven segment displays, including general information about current-limiting resistors and strobing. 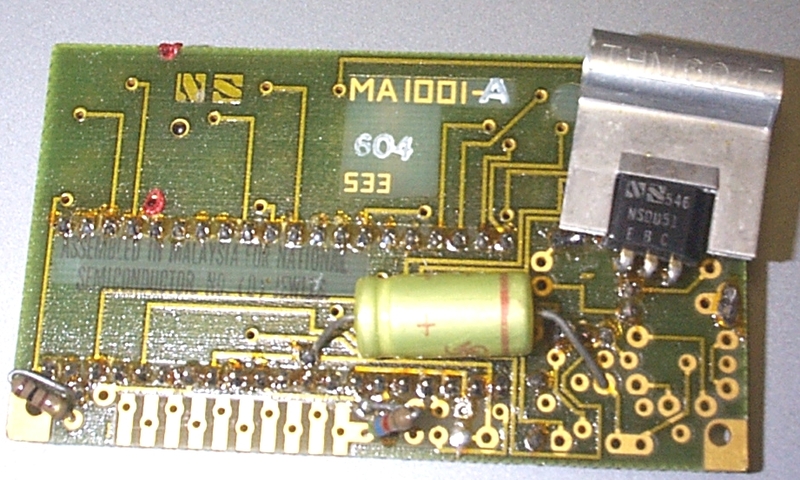 The second page contains two demonstration circuits and information about using the displays with clock chips, specifically the MM5314. 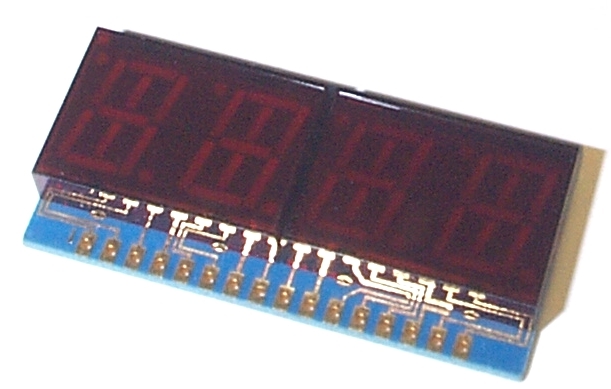 You can see a datasheet for this display by clicking here. I've also been told that a LEDTECH LJ3511-11 is a TIL305, so you can see a datasheet for the TIL-305 by clicking here. 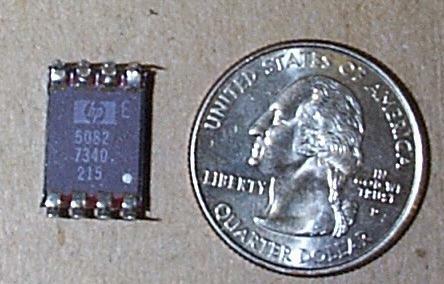 I'm looking for datasheets on this IEE One-Plane Readout, a Series 345 end display. 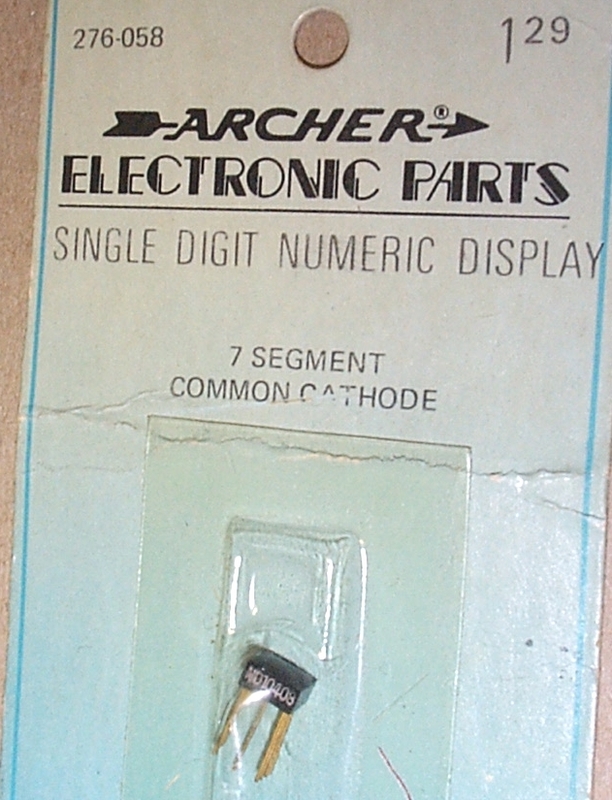 Technically these aren't LED displays (this design even predates the widespread use of Nixie tubes), but I have four of these old style digit displays. Each digit has an illuminating lamp behind it. I have a Hewlett-Packard HP 5211A that uses this style of display. Click here to go to the wanted page. Last updated February 8, 2014.